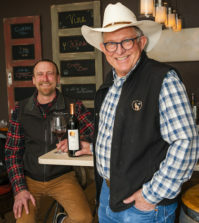 GARDEN CITY, Idaho – Earl Sullivan’s problem at Telaya Wine Co. is a good one to have – selling wine faster than he expected. 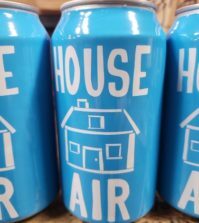 That craziness grew even before he and his wife, Carrie, opened their multi-million-dollar tasting room and vinification facility in the Boise suburb of Garden City. Since the Feb. 4 opening, making enough wine would seem to be the problem. 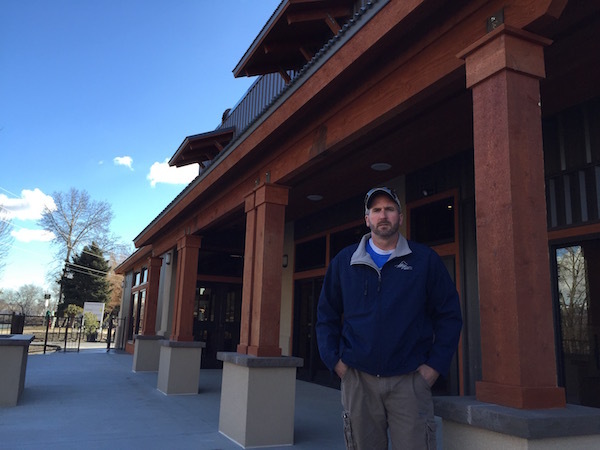 Quantity – not quality – is the issue at this point for the 3,500-case winery. Telaya’s new 12,000-square-foot facility will help with that starting this fall, but its 700-member wine club might need some patience and understanding as production grows. A stone’s throw away is the Riverside Hotel – the largest in the region and a property that’s being renovated thanks to local owners. And the only thing between the Boise River and Telaya’s patio is the Greenbelt, a hugely popular biking and walking path that stretches for miles and includes the campus of Boise State University. 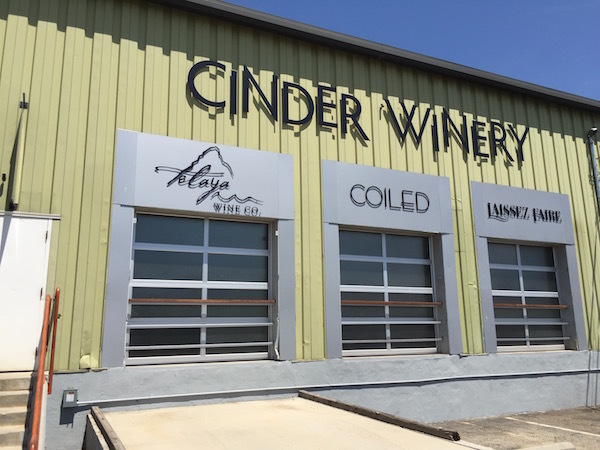 We caught up with Earl and Carrie Sullivan earlier this year, just a few hours ahead of the opening of Telaya’s new winery and tasting room, which they share with Coiled Wines. 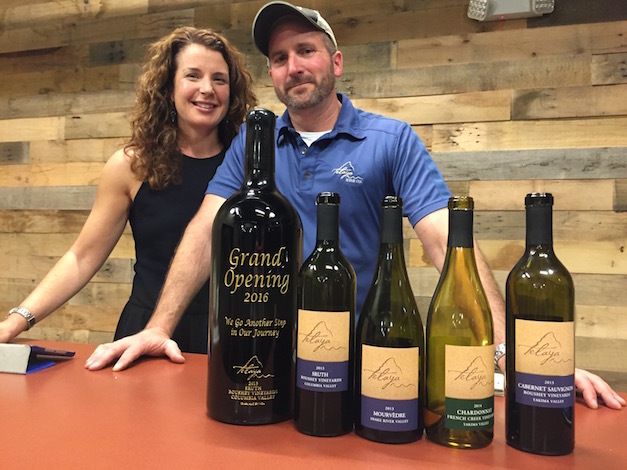 The dream for their own winery has been a thought for the Sullivans since their first vintage in 2008, but their vision got pushed ahead as Cinder Wines – their landlord on 44th Street – began to expand. The setting is one thing, but the quality of the wine is what’s really been driving sales. And that was well before Wine Press Northwest named Telaya its 2016 Idaho Winery of the Year. 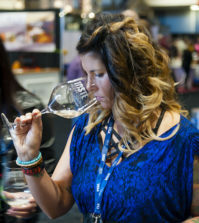 It’s been a rather rapid rise for Sullivan, identified as the Washington-based magazine’s winery to watch from Idaho the year before. Last year, the Telaya 2012 Cabernet Sauvignon from Scooteney Flats Vineyard on Red Mountain in Washington ranks among the Pacific Northwest’s most decorated wines. It won the Chairman’s Award at the Riverside (Calif.) International Wine Competition, a gold in Seattle and a coveted double platinum in Wine Press Northwest’s year-end Platinum Judging. This year, he’s kept rolling. 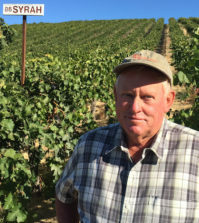 Two of his recently released reds – the 2013 Mourvèdre and 2013 Turas Red Blend – merited gold medals at the 2016 Cascadia Wine Competition, an international judging in Hood River, Ore. Both are made with Snake River Valley fruit. Soon after, Great Northwest Wine awarded its top rating to the 2013 Boushey Vineyards Sruth, a Right Bank-style red with Merlot (40 percent), Cabernet Franc (40 percent) and Cabernet Sauvignon (20 percent). 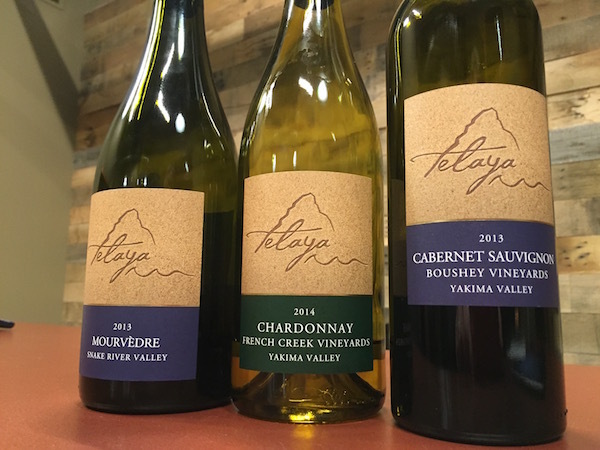 In recent years, about 20 percent of Telaya’s wines have been made with grapes from some of the Columbia Valley’s top vineyards at winemaker Charlie Hoppes’ Wine Boss facility in Richland, Wash.
“We’ve always had the vision of making the best possible wine that we can make,” Earl said. “We want to make wine that’s meant to be aged. Wine that’s meant to be savored. Wine that has a statement of the sense of place it comes from. Sullivan’s contacts in the Columbia Valley paid huge dividends last year because harvest was well off as a result of the November 2014 freeze event in the Snake River Valley. And these are not production vineyards he’s developed relationships with. 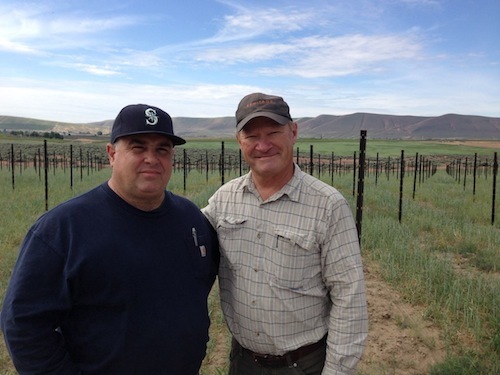 They have included Champoux in the Horse Heaven Hills, Quintessence and Scooteney Flats on Red Mountain and Damon LaLonde’s French Creek Vineyard near Prosser. Another layer of charm to the Telaya project is the relationship the Sullivans have built with Coiled winemaker Leslie Preston and her husband, Ross Lamm. They both leased space from Cinder. Now, Coiled is a tenant of Telaya, but it goes beyond that. Each couple has two sons of similar ages, which turns winemaker dinners in McCall into a family vacation. Many of the wines are named in tribute to Earl’s Irish roots. For example, sruth translates to river, while turas is a reference to journey, and the Sullivans named their winery (pronounced tuh-LIE-uh) by blending two of their favorite places – the Teton Range and playa, the Spanish word for beach. Events and hospitality are key components to Telaya’s business. Weddings are a possibility, “but we’re much better with receptions,” Earl said. The showpiece facility also is a testament to husband and wife working together on a dream not only for themselves, but also for their two boys. And now that their sons require a bit less supervision, Carrie will get her hands a bit deeper into the winemaking process. The 2016 vintage will see her create a Rhône-inspired rosé, the first for Telaya. “I think rosés are sometimes devalued, and I want to make a very complex rosé that makes people think twice about what a rosé can be,” she said. Based on the first few rather successful months with their new winery, the Sullivans are breathing a bit easier after taking on some financial risks. Earl worked on the family farm in Kentucky and met Carrie at Centre College in Danville, Ky., on his way to a career in the pharmaceutical industry. She became a veterinary surgeon, and they both continue to consult on occasion. But there’s little doubt that Telaya is their passion. 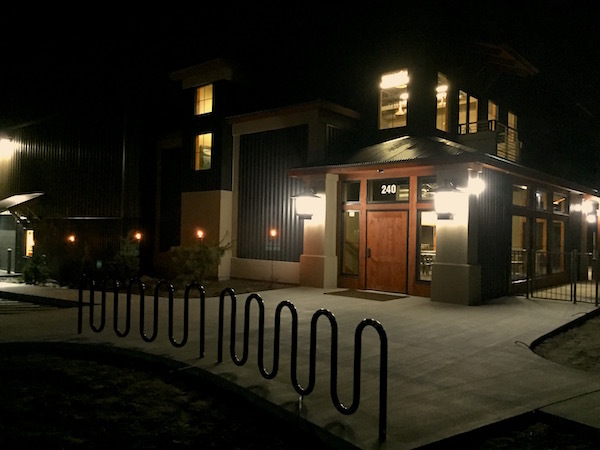 There are bike racks for daytime visitors – it’s 10-minute ride from those 44th Street wineries – and a fire pit for evenings. Hotel guests can take a bottle of wine back to their room because they don’t cross a public street.